Following the cataclysmic events from Avengers: Infinity War, Marvel has kept fans on edge wondering what will happen next. With Avengers: Endgame only seven weeks away, they decided to tease people even harder with their latest action spectacular, Captain Marvel. Taking place in 1995, it acts as a prequel to the Marvel Cinematic Universe, filling in gaps as well as adding what is probably significant setup for the next movie. Unfortunately, it is also pretty dull. The protagonist is enjoyable enough, but the story is not at all interesting. As a result, the action scenes mostly feel like special effects for the sake of it. It is certainly not bad; some of the dialogue is clever and I liked the lead performance. Yet it seems to exist solely to fill a hole in the schedule. It does not come off as necessary on its own. The plot is about the war between two alien races: the military-focused Kree and the shape-shifting Skrull. Vers is a Kree with powers she struggles to control and no memory of her life earlier than six years ago. After an encounter with the Skrull, she escapes and crashes on Earth. Once there, she continues fighting off her shape-shifting enemies while trying to discover the truth of her past. The plot here is more important than usual because it ties into many other things in the MCU. That means there is additional focus on it, even though it is as shallow as these things usually are. What we are left with is a lot of mythology and some decent fish-out-of-water comedy. The mythology may play better for someone who has seen more of the movies than I have, and thus would understand the significance of what is going on at a deeper level. I did get several of the references, though they did not enhance my experience. What carries Captain Marvel are the generally light tone and the central performance. Vres is a hero with the weight of galaxies on her shoulders, who is also quick to a quip. That is becoming a superhero staple at this point, but Brie Larson is believable in both modes. She is funny and charming, yet very convincing when she needs to get down to business. Since she has essentially lost her identity, there is a lot of sadness inside her, which Larson does a good job of hinting at. Larson is clearly having fun and her chemistry with Samuel L. Jackson, as an inexperienced Nick Fury, helps the story get past some of its many slow points. 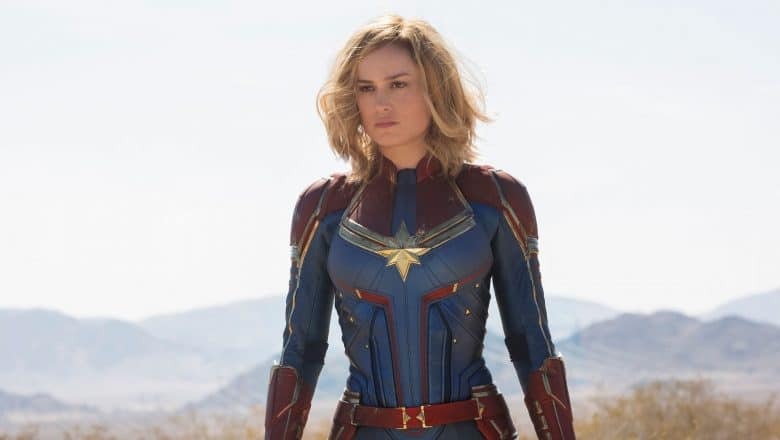 Captain Marvel has been positioned as a major step leading toward Avengers: Endgame. Those eagerly anticipating that movie are guaranteed to be making their way to theaters as soon as possible to see this one. For those of us not inherently interested in everything Marvel puts out? There is not quite enough here to recommend. It is Marvel formula to a tee, with nothing to make it stand out. The cast is good, the direction (by Ryan Fleck and Jewish filmmaker Anna Boden) is fine and the screenplay (by Boden, Fleck and Geneva Robertson-Dworet) is mildly witty. The pieces are there, but the finished product is just not very fun. That is a shame because Larson shows the ability to be a captivating hero. Undoubtedly, she will have plenty of opportunities in the role. Hopefully, next time, she gets to soar on her own instead of being tethered to the promotion of another movie.